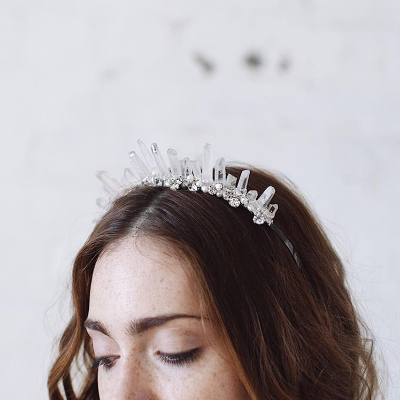 Can I wear my hair accessory after my wedding? We get this question all the time, and our answer is always a resounding, "of course!" For evening events, a headpiece, especially a tiara, can really make any outfit stand out. To those fans of Downton Abbey -- have you seen the headgear in the dinner scenes of the current season? 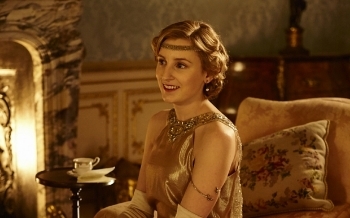 Mary looks so glam in her jewels, and a cute headband has really transformed Edith's prospects! We also love the idea of wearing our headpieces to festivals. Below is a sneak peak of our upcoming fall collection set to launch in a few weeks - we think this Chloe headband is perfect for Coachella! Photo: Dana @ Between Sleep and Awake Videography, Model: Patty Alexandra, Makeup: Grace O'Neill, Hair: Robyn Stanley.